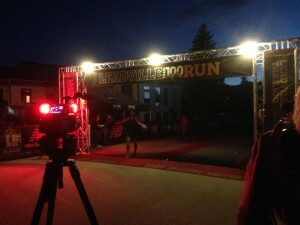 I’m being told I should be proud of finishing 40 miles anywhere, letalone Leadville. Yet even 2 days after I timed out, by 3 minutes at mile 40, I don’t feel that way. At the same time, I found myself this morning feeling silly saying to someone “I only made it 40 miles.” The look on each person’s face has been one of: shut the hell up you went 40 miles at 12k feet altitude! I get it. I’m married, have 4 kids, and work full-time. 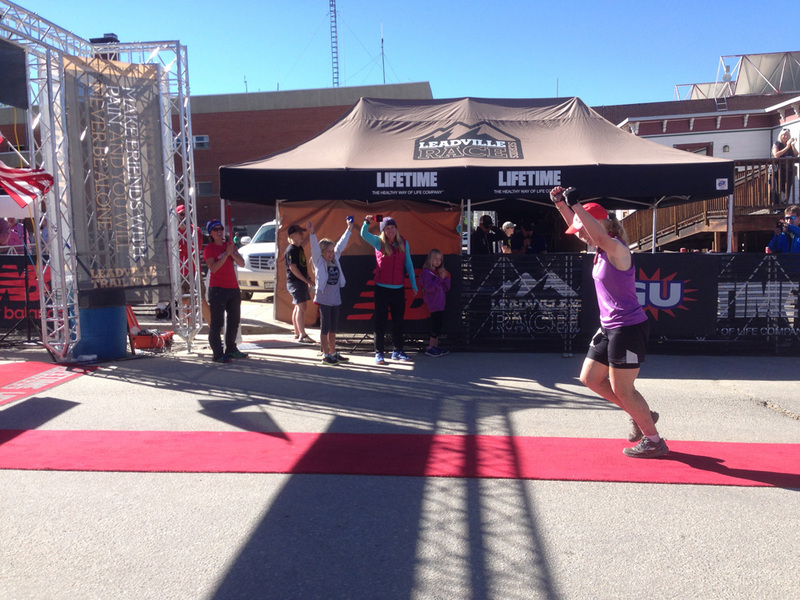 Completing marathons can be considered a big accomplishment. 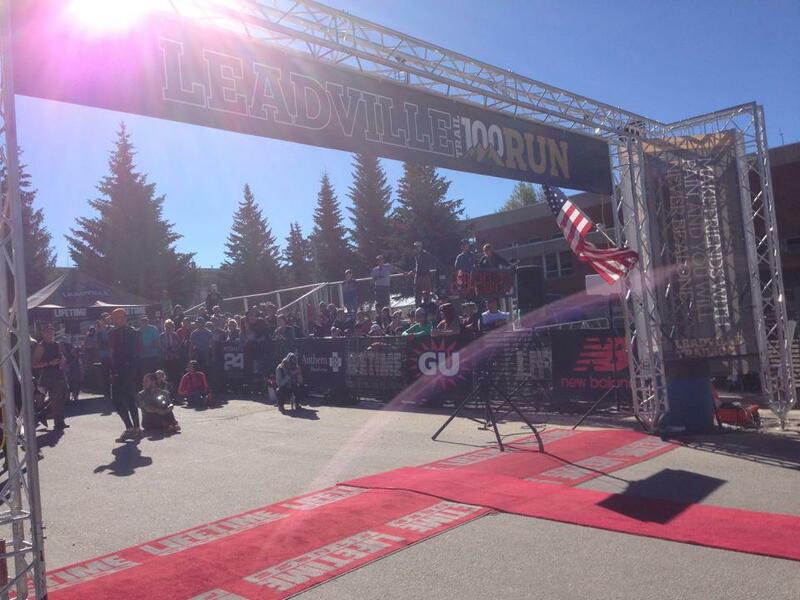 What may bother me more is that I thought I knew a key ingredient to completing the Leadville 100 was more training. Did I do more training? Well no, that much I knew. At the same time, friends that had been putting in 60-80 mile running weeks timed out as well. What the hell. Tanya, Ian (11yo son), and I headed up to Leadville on Thursday. 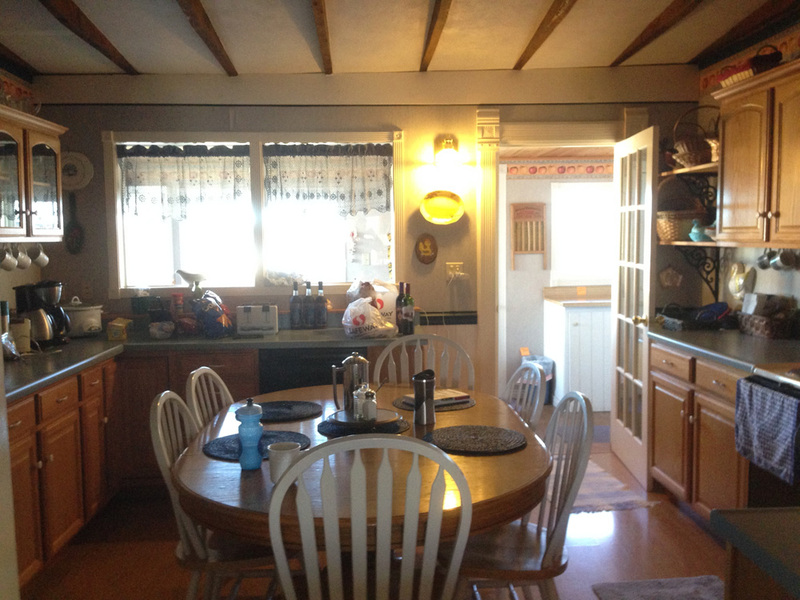 A buddy and I decided to rent a house about 4 blocks from the starting line. This year we were doing it right. 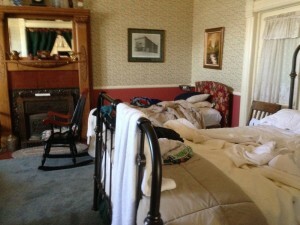 Stay in town, make it easier on the crew/pacers, and maximize sleep. 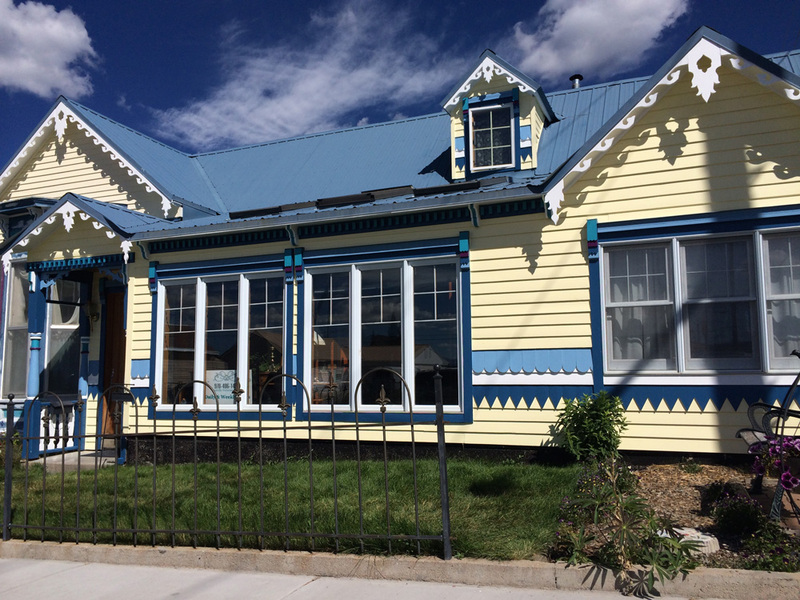 The house has to be one of the nicest in Leadville! 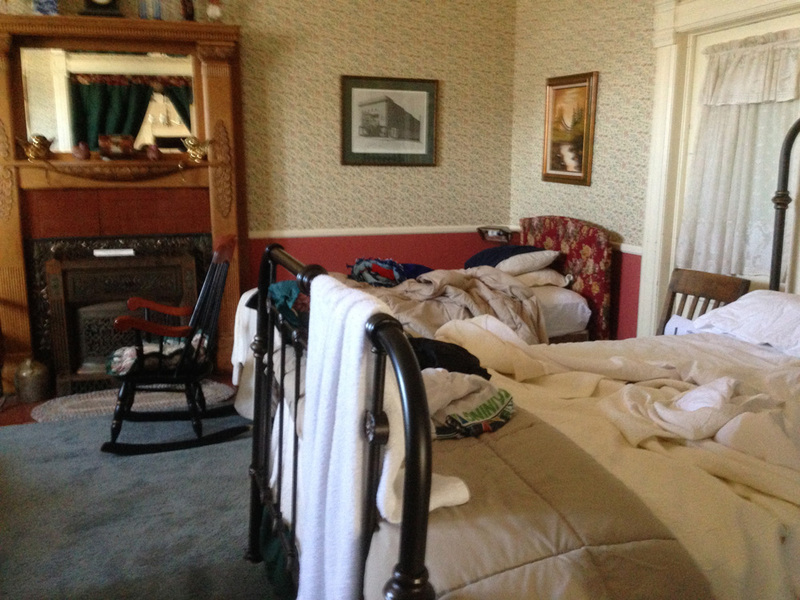 Needless to say, we weren’t roughing it when it came to accommodations. 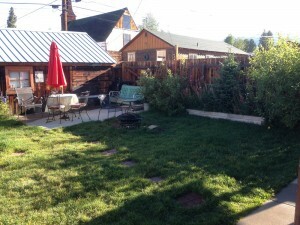 Comfy beds, good size kitchen with everything, fenced backyard with fire pit & BBQ, tv, WiFi, and easy parking. 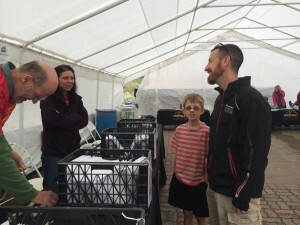 First stop was to packet pickup. 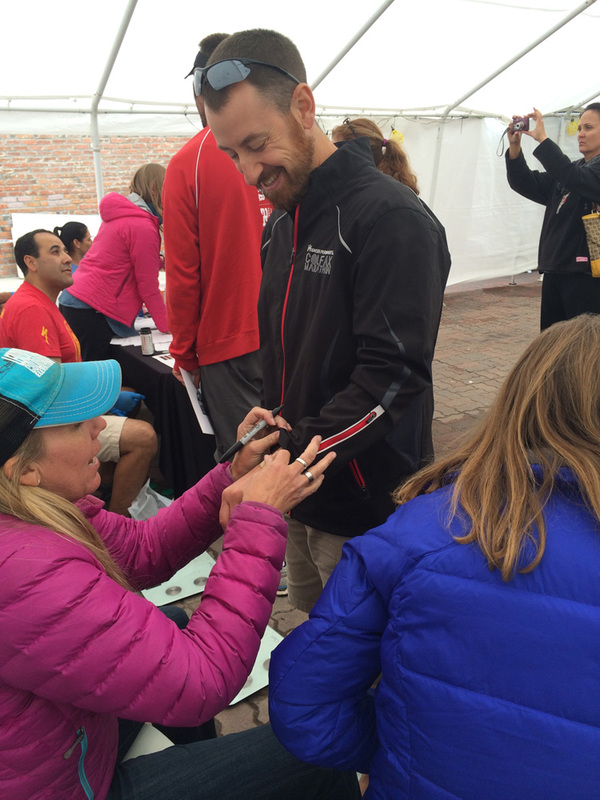 As with most 100 mile races, they take your weight. A big part of this is to determine during the race if the runner is dehydrated. If you lose too much weight, you get pulled for medical reasons. At the same time, if you’ve gained weight, you may be over-hydrated which can be just as dangerous. We went over to the Mike Aish BBQ (sponsored by Mizuno) and tried to absorb the knowledge surrounding us. 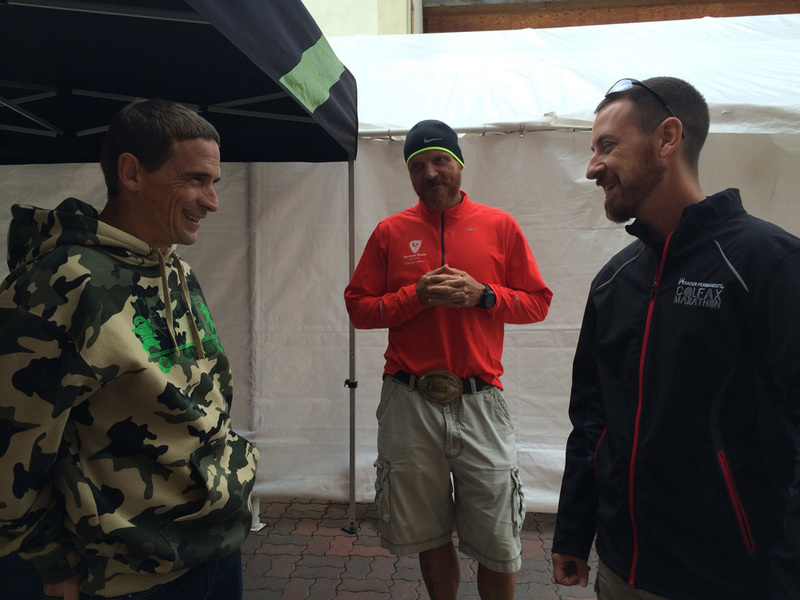 From Mike to Ian Sharman to the other runners with previous Leadville 100 big buckles around their waste. Again, the community is what I keep coming back for. Everyone is so open about talking about their failures and struggles they’ve learned through. No judgement. Just respect for being there. 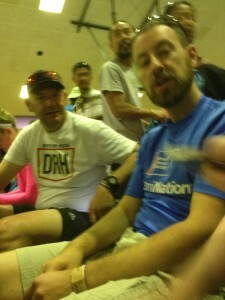 Friday morning slept until 8a or so and around 10a headed over to the pre-race meeting. Ran into people I haven’t seen since Silver Rush 50 the previous month and caught up with Mitch, pacer and Colfax Ambassador extraordinare. 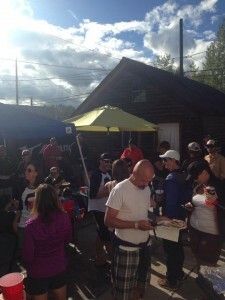 After last year’s Leadville 100, the ultra community had some strong feedback for the race organizers. I am happy to report that the race listened. From lowering the number of registrants to 690, the course never felt crowded. 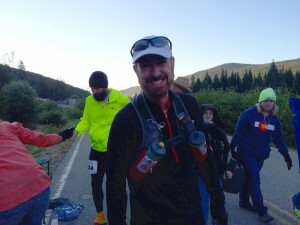 Aid stations were well organized and able to separate crews so runners could get what they need. If any of my staff, Search & Rescue, or volunteers see you litter, you will run no farther. Ken Chlouber gave his speech, but it lacked the energy and excitement from past years. After the meeting, Tanya, Ian, & I met up with Parrott for lunch at the Golden Burro. 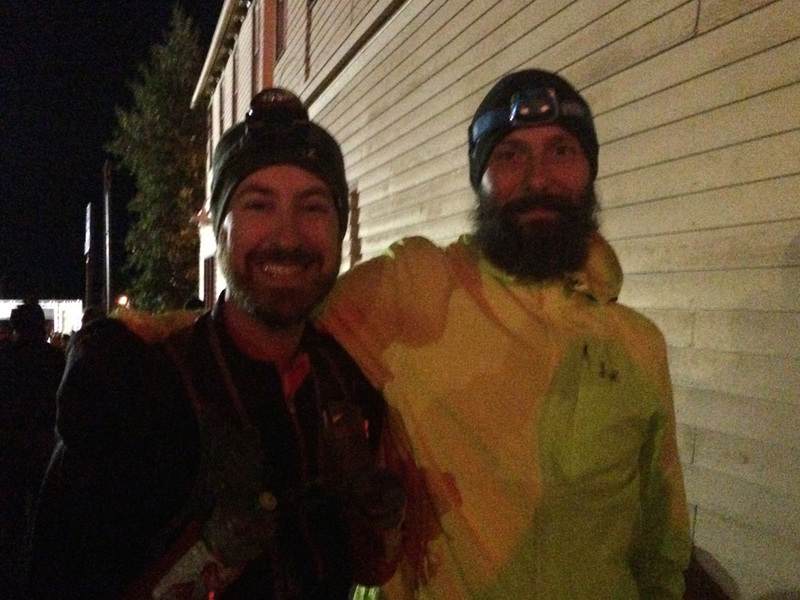 For the record, he’s the one that got me into ultrarunning 4 years ago. Great catching up with him on family, running, and work. 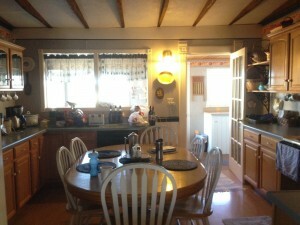 I had my race dinner and a few more people on crew and pacers came by the house to stay the night. At 1am, I woke up to have breakfast so that it would have time to digest. Parrott joined me which was welcomed company. Again, we talked about how I did Silver Rush 50 last month, so getting at least to halfway shouldn’t be unreasonable. Off to bed for a couple hours of rest before gearing up. 3am came quickly. It was still better than previous years of getting up an hour or more earlier due to travel. 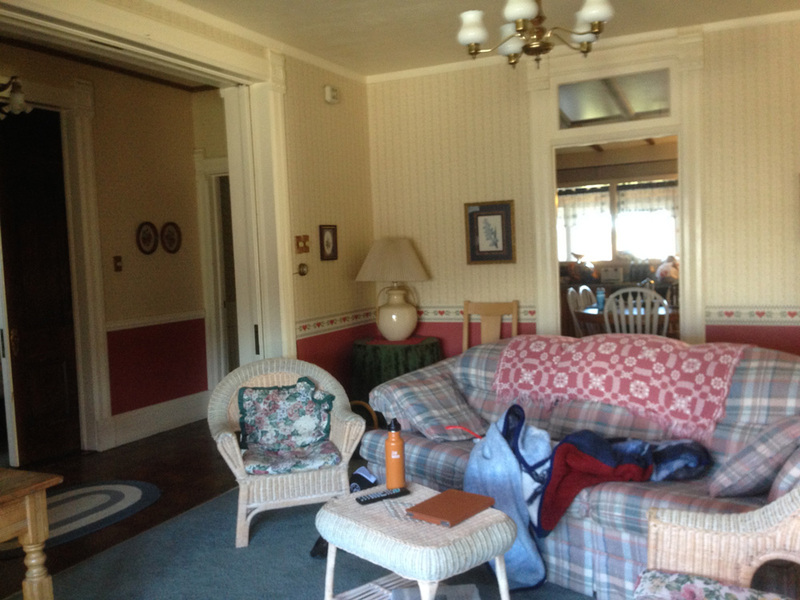 It didn’t take long to get dressed and we all sat around chit-chatting about the day ahead. At 3:40a we were out the door. Sorry not many photos of on course as I ran again without phone. 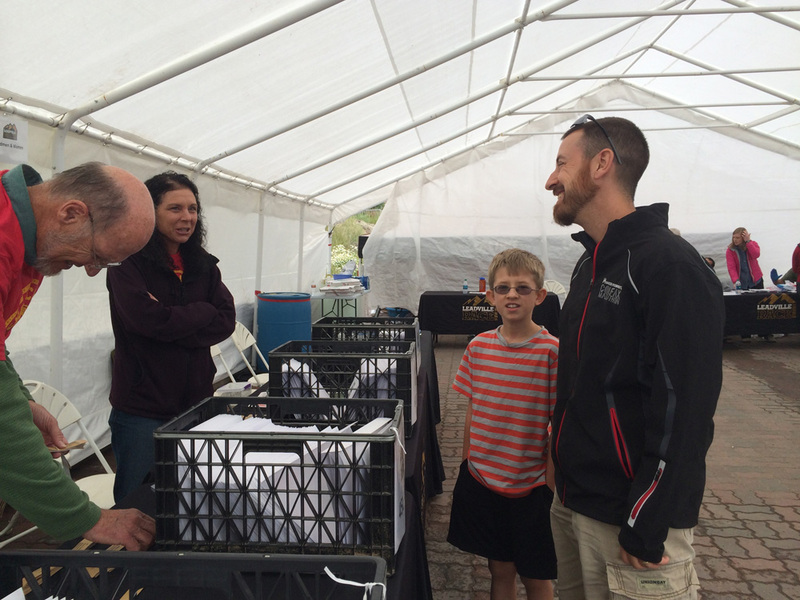 Once at the starting line, I said hello to a few people, took some photos, and into the starting gate. I saw Lisa and went over to say good luck. She has been having a great year! One thing I would like to see is the race bring in someone to sing the National Anthem. It’s a nice recording they have and all, but the right person singing can really make a difference. Countdown was on and shotgun fired into the air! Jamie, Lisa, and I took off down the road. About half a mile in, just after all the crowds, is the first incline of the day. Jamie walked the hill sticking to his plan and I kept jogging with Lisa as we chatted about her newer job, training, and thoughts on the day. Her and I would run together for the first 3 miles and then she went on ahead. My heart rate was pretty high. I decided to dial it way back to see if I could get it under control. I was able to force down some food, but the thought of eating made me gag. That’s a bad way to start. Rounding the lake, my foot caught a rock and I did a 50 foot game of Superman pose hopping. Somehow I managed to not hit my face on the ground. I had extended myself so hard that it felt like I had dislocated my left shoulder and someone stabbed me in the side. 2 more trips and an ankle roll later I made it to the pavement. On the mile of pavement in, Jamie caught up to me. We went into the aid station together and I went right through it to Tanya waiting on the other side. Me: Head is dizzy and stomach not working. Tanya: Here are some Tums to try. You getting your calories from Tums? Why the hell not at this point. Something new has to be better than this feeling. Climbing up Sugarloaf for a few miles my legs felt dead. It was one foot in the other and I still wasn’t stopping. There would be no stopping unless some disastrous medical injury or I timed out. Keep moving forward. Was happy to see at the top of Powerline the older gentleman with his pickup truck of bottled water and Coke. That was some good water. After this, I normally have flown down Powerline. This time, my legs were stiff and locking up. Again, like I forgot how to run. Made it to the bottom, round the corner and onto the pavement to next aid station. It was hot and I was cranky. I had nothing but excuses running through my head. Every trick I could throw at myself seemed to not work. My brain was shutting me down. In the mirage of the pavement, I saw Ian waving to me. If he wasn’t there, I can only imagine some of the language that would have been coming out of my mouth. I had made it by 15 minutes. I saw the cutoff lady (she does have a name) in the aid station talking to volunteers. Tanya: How are you doing? I dropped to one knee. Me: Not well. Not eating, but drinking. Hey that Gatorade looks good. Heidi (crew) hands me her blue Gatorade. I drank half the bottle. After that, I stumbled towards the tent, then turned back to talk to Tanya, then waved to Ian, and back to the tent. I was out of it. Drank some Coke, ate chips, and 3 M&Ms. I decided that if I went to the bathroom maybe that would clear some things out. I opened the door and went into puking mode. I came out and continued puking onto the grass. Me: Hey look a grape! That was the closest thing to a sense of humor I had all day. I looked over and saw Ian came with the video camera. Me: Did you get me puking? Ian: No I just turned it on. Me: Don’t worry, I’m not done. 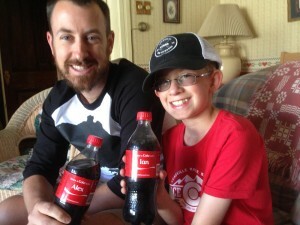 Making memories with my son. Tanya: Remember what Mike said. Sometimes you just need to sit down, eat, and it’ll pass. Me: I have 8 minutes until this aid station closes!!! I don’t have time!!! I was so frustrated and angry that nothing was going right. The only positive was my family and crew. Heidi gave me a bag of grapes and I was sent off with chants of “you can do it!” from the movie Waterboy. This next part was a course change from past years. Rather than running the next mile on pavement, it was across the prairie. This announcement at the pre-race meeting was welcomed with applause. Now on the prairie, I felt like I was running across a wack-a-mole game. Lots of large holes that kept me distracted while I watched for a prairie dog or snake to come out. The sun was out and it was hot. I was still drinking, but not eating much. That’s a ticking time bomb there. Made it to the pavement and a slow-go to the right turn onto the trail. Damn heat. Not many cars at Halfmoon as I jogged up the dirt. Around the corner and couple more miles to the next aid station. My watch said I was 7 minutes past cutoff time. 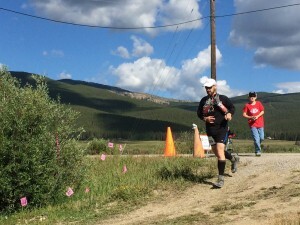 Approaching the aid station, I spotted the cutoff lady. She was on the left side of the trail talking to a group of volunteers at a table. When I was about 100 feet from her, she looked over at me. I immediately crossed to the other side of the trail and pretended I was sneaking behind her. The entire aid station erupted in laughter. You can keep on going if you want, but it’ll be tight making it to Twin Lakes. 2.5 hours to go 8.5 miles, 6 of those uphill, only to be timed out. Why bother? I was clear with myself when I started: No Quitting. Didn’t matter if I was just given an out. Or that my IT Bands seemed to be pulled to their max. I was pressing on. I downed 4 cups of Coke along with a handful of chips. Solids were not my friend, so I was living off of liquid calories. At this point, I knew I was the course sweeper. What I didn’t expect, was to start passing people. My plan was to jog the flats and downs. That was enough to pass at least 2 people. It just felt like I forgot how to run. My legs were so locked up I couldn’t raise my knees. After 6.5 miles of climbing, all of that up descended in just 2 miles to the next aid station. Looking at my watch, I knew I was going to time out but minutes. Still, I pressed down the hills as fast I could. I found myself swaying side to side. Dizziness was hitting me hard. It’s still emotional to recap what happened here. As I approached the hill that was a steep descent into Twin Lakes, I saw my son on the trail. He came looking for me. Ian: Hurry they’re taking it down! You can still make it! Me: I’m sorry bud. I won’t be finishing the race today. Tears the size of water buckets followed. I stopped and we took a minute to share some emotions. It’s a rarity for me to shed tears, but I couldn’t hold much back at that point. I was depleted, exhausted, and angry. I had let many people down. Moving ahead to the top of the hill, he wanted to take a moment to wipe the tears. I headed down the hill and heard clapping. That brought a smile to my face. Otherwise I would have rolled down the hill in a ball of mess. Hitting the bottom of the hill the cutoff lady was waiting for me with open arms. Her: I’m sorry but you are timed out. I went up to her and wrapped my arms around her. Me (with tears in eyes): Thank you for giving me the chance and letting me through the last aid station. Her (with tears in her eyes): You are welcome. You should be proud of what you did. Her: I’m sorry but I have to take your timing chip. Me: It’s okay I understand. Her: No it’s not okay. Tanya was there next to me with tears in her eyes. I am not running this again for several years. Until the kids are older and I can figure out how to train properly. The plan was to at least make it to mile 50 as I have done before, but that was not in the cards. I found out that Jamie had left 20 minutes ago with 2 hours to climb to the top of Hope Pass. I’ve done that twice and on fresh legs made it up in just under 2 hours. Add a couple hundred people running down at you and that’s a tall order. My plan was to head back to the house, shower, eat, nap, and join the crew to get Jamie through the 2nd half of the course. Unfortunately, Jamie arrived at the top of Hope 10 minutes after time and was turned around. Over the next several hours, I ate a lot of pizza, snacks, and drank beer. I kept getting news of others timing out and some hurting. Ian and I shared a Coke with our names on it that I had found a month earlier. The original plan was to drink those at the halfway point. Around 8:10pm, we headed to the finish line to see the winners come in. Ian bought all of us ice cream. Such a nice kid 🙂 Tanya and I were chatting with others in the crowd waiting for family runners. One asked if I had run today. Me: Yeah I made it to mile 40 3 minutes late. Guy: Wow! You don’t look like you ran 40 miles up here today! Probably one of the nicest things I heard all day. I wanted to see Mike Aish finish and was excited to hear he recorded the fastest split time in the race history from the last aid station to finish. It was great to hear Mike yell in his New Zealand accent after getting the medal: Glad that’s over! Ian Sharman rolled in 3 minutes later. A 100 mile race where 2nd and 3rd are separated by 3 minutes. Rare. Ian’s recap is pretty telling of the battle the 2 of them had those last 13 miles. Much respect. Just after midnight I headed back to the house. I slept for about 8 hours and checked on some friends with the online tracker. Right back to the finish line. There I ran into a coworker who I learned timed out at mile 76 due to his knees stopped working. Then ran into Mike Aish to see how he was feeling. He said his legs were in shambles but to me he looked like a humble rock star. I watched a coworker come into the finish while holding his child. Huge smile on his face! Super proud! She put in the miles and time to make this happen! 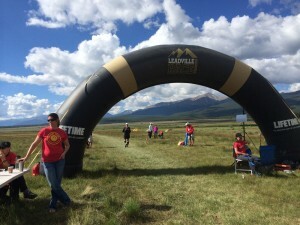 You can finish the Leadville 100 next year. It’s not fair to my family, friends, and ultimately myself to waste their time. – I will have to spend every other Saturday in the mountains running totaling 60 miles/week. – I will need to find a job that supports work-life balance. I already have friends that believe I can do it, but I have to put in more time for my body to make it happen. Sure, I can push my body past what it thinks it can do. As others who did triple the training found out, sometimes that is not enough. 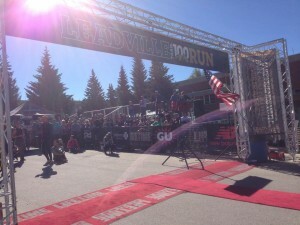 So will I run Leadville 100 again? Yes. When? Unsure. Keep your chin up, there is not doubt you can get to that finish line when your ready. Sometimes the hardest thing is to get back on that horse, but when you do no one ever regrets do it. If you get stuck for motivation, hit me up and we can get a run in together. Mike that is super generous! 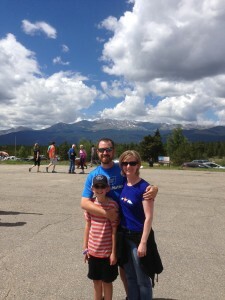 My challenge is that I want everything … keep wife & 4 kids, day job, and running. I can figure out how to get in miles, but not the altitude miles quite yet. Be thrilled to run with you!